Old Good Things is the largest reclaimer of vintage chicken wire glass. 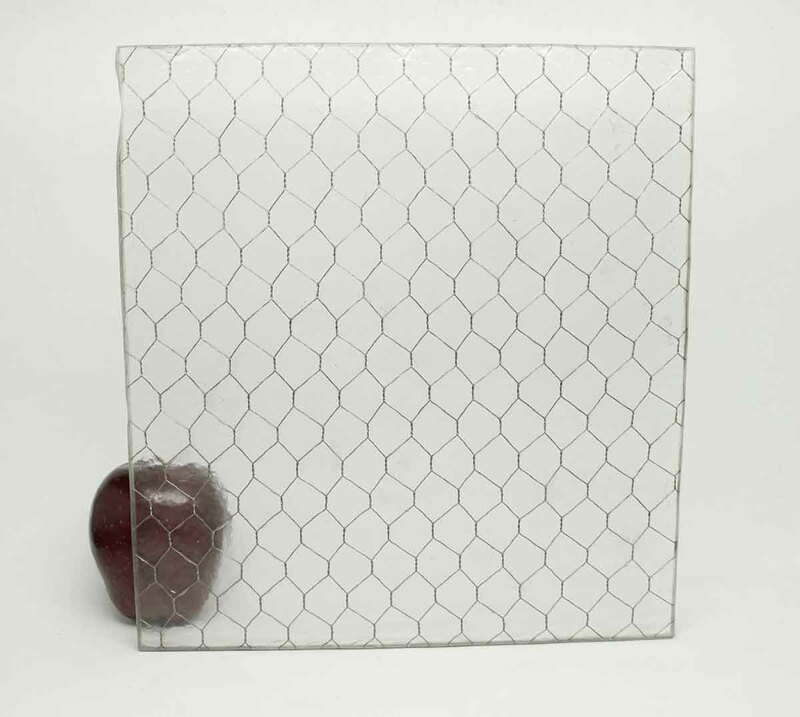 All of our chicken wire glass is salvaged from old factory windows and doors and sizes may be limited. Please call or email for availability and sizes. 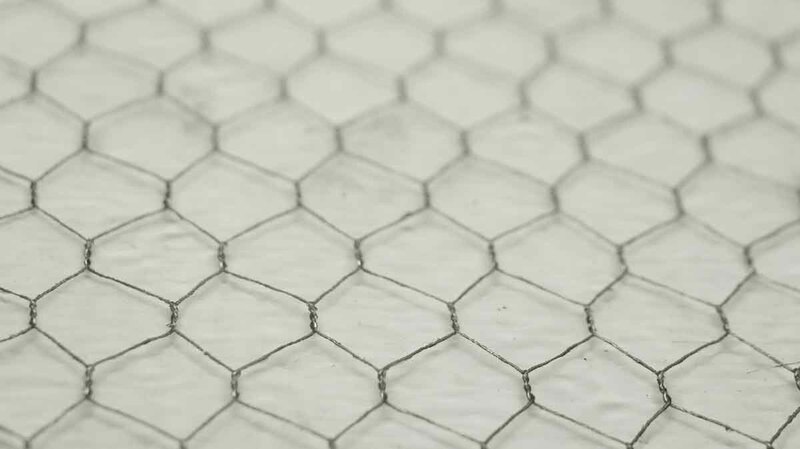 Chicken wire glass comes in a variety of textures: ‘clear’, ‘pebbled’, ‘hammered’, ‘wormy’ and ‘ribbed’. 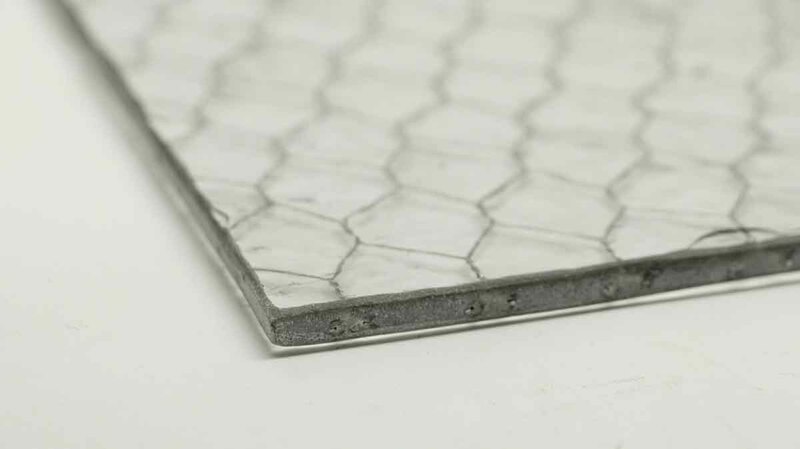 The ‘hammered’ textured glass obscures and is used for safety. 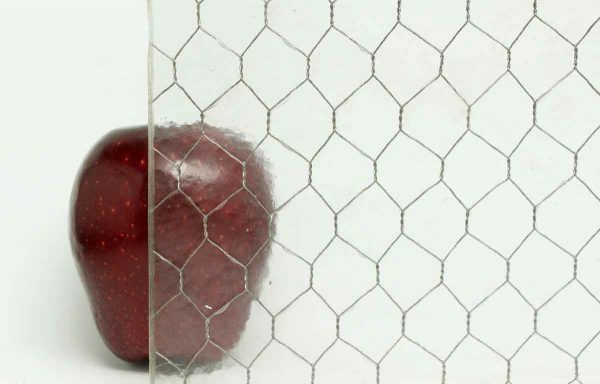 Chicken wire glass was mainly used in commercial buildings, now it is used in modern design for an industrial look. 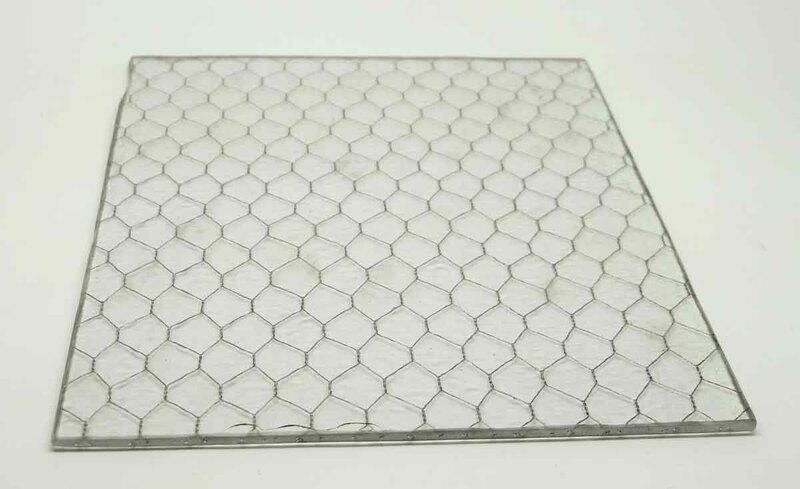 0.25" thick – Width and height depends upon inventory at the time of purchase.